The fleet of 15 industrial fishing vessels arrested for targeting sharks by Timor Leste authorities with assistance from Sea Shepherd in September 2017 have been released without charge. Sea Shepherd campaign leader Gary Stokes with Timor Leste National Police in 2017. On September 9th 2017, Sea Shepherd’s M/V Ocean Warrior supported the Timor Leste National Police (Policia National Timor Leste - PNTL) in a dawn raid of the Fu Yuan Yu fleet of fifteen fishing vessels owned by the Chinese Hong Long Company, operating within the Southeast Asian waters of Timor Leste. 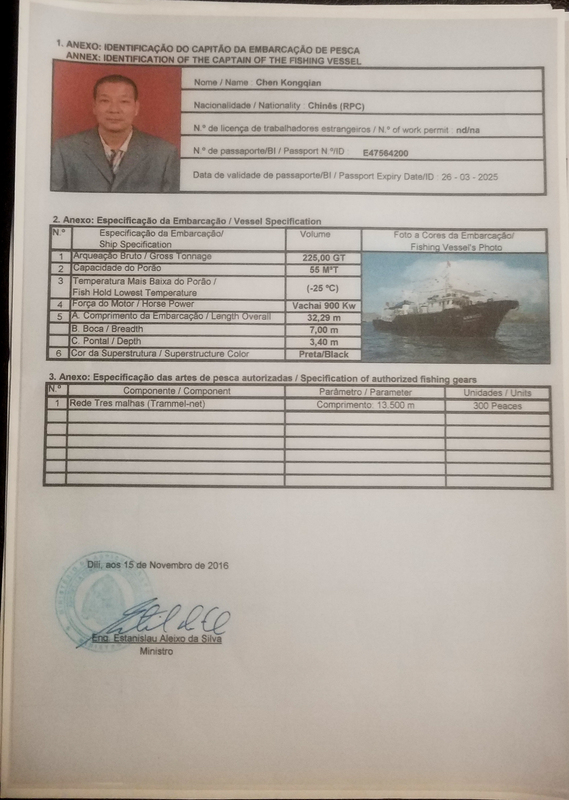 The fleet, which had already been banned from Indonesia for illegal fishing, obtained a 12-month permit to fish inside Timor Leste’s sovereign waters for a modest fee of just US$312,450 from the former Minister of Fisheries, Estanislau da Silva. The PNTL took action after Sea Shepherd shared evidence of the fleet indiscriminately fishing for sharks in the island nation´s southern waters. “It was very encouraging to see a law enforcement team that wanted to go the extra mile to seek justice for their country,” said Gary Stokes, who was leading the Sea Shepherd campaign in Timor Leste. The PNTL officers were delivered in groups of four to several of the fishing vessels. Once onboard and secure, the PNTL brought Sea Shepherd crew on board to document the inspections, assist with checking the freezer holds and log books, as well as to provide translation services for the Chinese officers onboard. The vessels’ freezer holds were full of sharks -- Sea Shepherd estimates that there were between 10,000-15,000 sharks per vessel -- and very few other fish. Deck crew confirmed there had been a potentially illegal transshipment (offloading of cargo from one vessel to another) only two months earlier, meaning that on average they could have been catching approximately 93,750 sharks per month across the fleet. Notably, at-sea transshipment is forbidden under Timorese law. 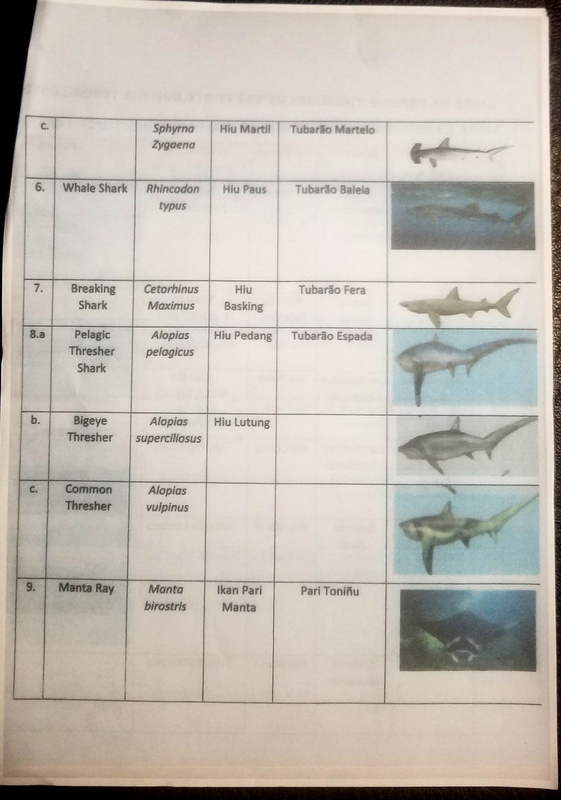 The laws of Timor Leste also very clearly prohibit catching any sharks listed by CITES (the Convention on International Trade in Endangered Species of Wild Fauna and Flora). Specifically, even though East Timor is not a signatory to CITES, its law protecting endangered species covers all CITES-listed wildlife. 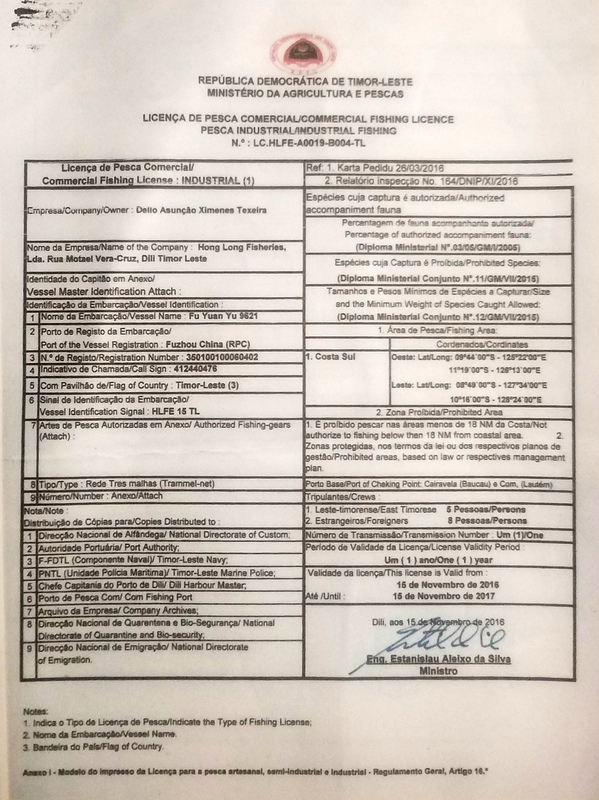 Additionally, the licenses issued to the Fu Yuan Yu vessels (here and here), signed by Estanislau da Silva, expressly referenced this law and included an appendix specifying (with full color photographs here and here) the prohibited shark species. During the PNTL’s inspections, the Chinese officers claimed that there were no prohibited sharks onboard and that they had not broken any laws. 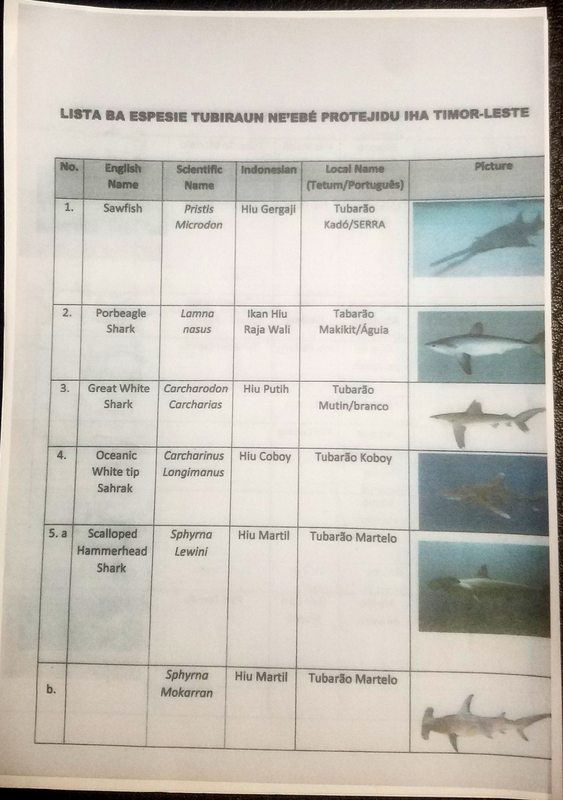 Despite claims in the Timor Post by Timorese Director General of Fisheries Acacio Guterres that "Hong Long Company does not catch protected shark fish,” the PNTL did in fact find CITES-listed hammerhead sharks onboard the vessels. After many hours working in -27° temperatures in the ship holds, the determined officers of the PNTL found the endangered hammerhead shark bodies hidden in the center of a massive pile of frozen sharks, their iconic head foils cut off to evade identification. Photographs of this evidence accompanied the PNTL’s full brief to the Prosecutor in Baucau. Any claims that these protected sharks were not caught in Timor Leste would be contrary to the fleets’ GPS tracking, which showed that the Fu Yuan Yu vessels never left Timorese waters. The fleet of 15 vessels was detained in the bay off the capital of Dili, where it remained rafted together in three groups of five vessels, awaiting judicial action for nine months. However, in late May 2018, the fleet was allowed to return to China for maintenance after paying a relatively small bail of US$100,000. Although the vessels were ultimately released, it is significant to note that, because the fleet was prohibited from fishing during its long detention, approximately 843,750 sharks were saved. Once the fleet departed Timor Leste waters, the Prosecutor's Office declared the fleet “not guilty” of violating any laws. Estanislau da Silva, who will be replaced by the newly-elected government in the coming months, stated that if the fleet wished to return to fish in East Timor waters, it would only have to renew its license.